$308.88+ White-themed First PC Build! 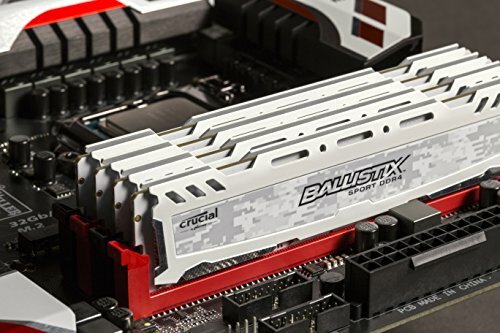 Good priced ram that gets the job done and also fits my color scheme so its great would recommend. Decent ram that matched my MSI B250M MORTAR ARCTIC Micro ATX LGA1151 Motherboard. Could be cheaper. Pretty fast RAM, as expected from a 2400MHz clock. I don't really play memory-heavy games or run multiple tasks at once, so I only need 8GB. White RAM, fast RAM, no issues RAM, pretty good! Works the way it is supposed to and it fits the color scheme of the build. No issue with this RAM. It looks awesome and performs great. Low profile, looks good, works well. Low profile, works with almost any color scheme (Unless you're doing a "blackout" theme), and gets the job done @ 2400.